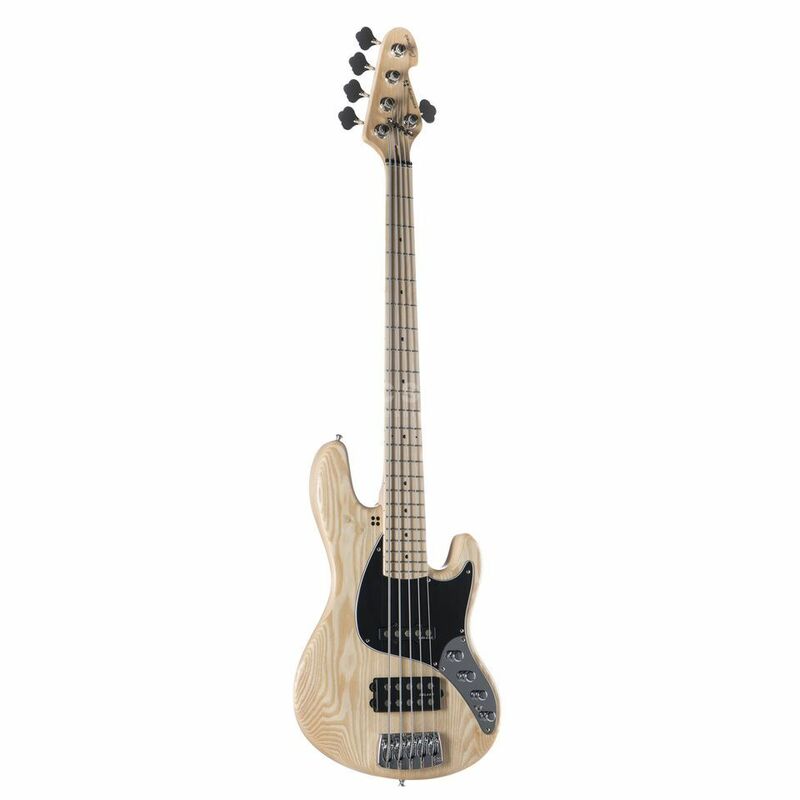 The Sandberg California TM5 MN Natural Satin is a 5-string electric bass with a proven wooden base and powerful Delano pickups that delivers versatile sounds with a vocal vintage note. For the construction of the California TM5 RW Natural Satin, Sandberg rely on proven woods. The body is made of ash, whose grain remains visible through the open natural finish, while the neck is made of maple with 6x screws and a maple fingerboard. The 5-string has a fat primary sound with rich attack and even sustain, which also integrates the low B-string with precise articulation into the sound. Furthermore, the pleasantly shaped neck profile, on which even complex grooves can easily get out of your fingers and invite you to hours of electric bass playing, ensures comfortable playing comfort. The pickups of the California TM5 come from Delano and possess a versatile sound spectrum, whose pleasant vintage nuances are always recognizable. A wide spectrum of different sound nuances can be called up via the blend control, ranging from the rich, assertive low end thrust of the Delano M-style humbucker close to the bridge to the bold, yet transparent sound of the Delano T-style single coil. To further adjust the sound, the active 2-band tone control and the split switch for the humbucker are also available, which can be used to elicit authentic single coil sounds from the 5-string electric bass. The strings are held on the body by the Sandberg Bridge 5, whose construction contributes significantly to the sound of the 5-string. The 3-dimensional adjustability also guarantees perfect adjustment of intonation and string position. At the headstock, the strings are led via zero fret and saddle to the indestructible Sandberg Machine Heads, which guarantee a reliable tuning of the bass guitar.